Our copy editor, Maan Villanueva is celebrating her birthday today! She provided great support in editing the book, and also helped out in marketing. She is a YA fantasy fiction/children’s literature enthusiast, into analog and digital photography, loves blogging about travel, books, films, and TV series. To be a published writer! It doesn’t matter if it’s in the form of a news article, or short story, or children’s book (I hope to try my hand in all). My Journalism and Literature background took a backseat when I made the career detour to work in the administrative and operational side of things in the academe for more than two decades. Now that I’ve shifted gears into going back on track with old dreams, I hope to write some more and see my work not just as a personal creative outlet but also as a useful, informative piece for the public. With this project, I actually got elevated to being a copy editor so that’s pretty cool! Working on the Super Yaya books helped me hone my editing skills for the final product to be as error-free as possible on a specific deadline. It was a great learning experience so I don’t mind being both an established writer and copy editor in my lifetime. 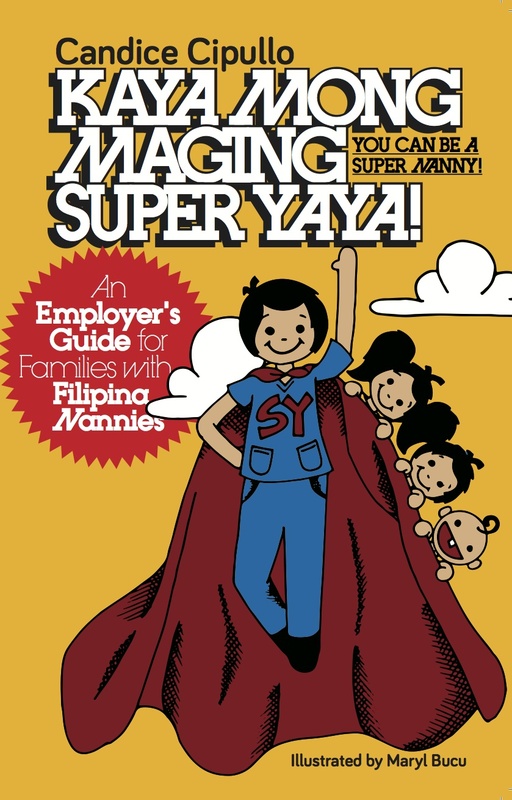 What do you think about the Super Yaya manuals? I think everybody should read it. Its content is not just for parents and for kasambahays but it is for the entire Filipino family. A well-known African proverb says ‘it takes a village to raise a child,’ so the responsibilities of raising healthy and well-rounded kids extend to every member in the immediate family, even to the second tier of uncles, aunts, and grandparents who take care of little ones in the non-traditional set-up. I have learned so much about child development in the process of editing the material thoroughly, and it is a good guide for me when my time comes to raise my own family as well. Thanks Maan, for all your help!